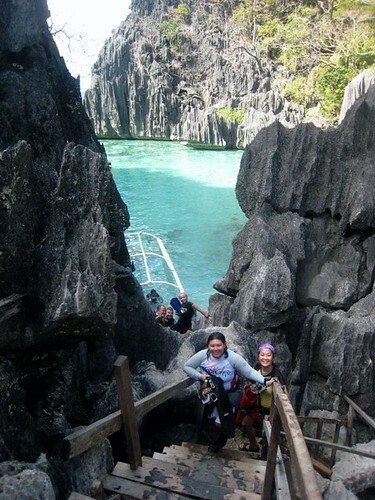 Coron Island is located at the northern part of Palawan and is most famously known for the WWII Ship Wrecks. 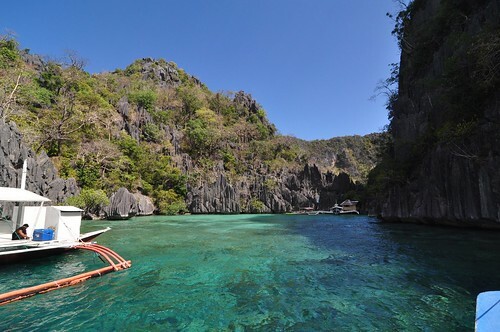 It has been on my list of “places to go to in Philippines” and I’m happy to finally cross it off my list. So for me, it’s the next best thing after the failed Tubbataha. We dove with Sea Dive Resort and I’m happy to vouch for their excellent customer service. Everyone (reception, accounting, dive shop, dive guides, etc) is so very nice and accommodating! We’re also able to get a good diving rate. 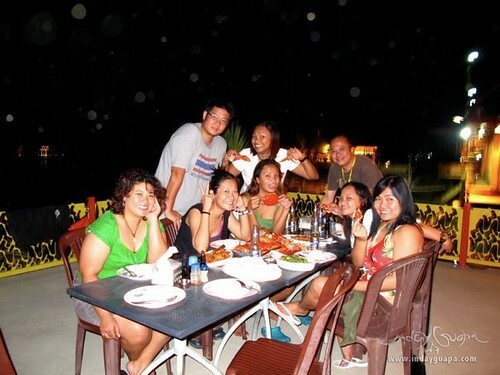 We each paid PHP10,000 for 10 dives spread over 4 days (2-3-3-2), inclusive of lunch. It’s actually cheaper than Subic of 1,000/dive. Or maybe you can get better deal on repetitive dives also in Subic. The dive in Barracuda Lake was in many ways a new experience for me. Quite interesting that we had to climb over a limestones with our gear. BUT of course I couldn’t do that. The nice boat men and dive guides helped us ladies out. I had a hard time just carrying my camera, mask and fins which in the end my dear friends took them out off me. I’m kind of a wimp like that. 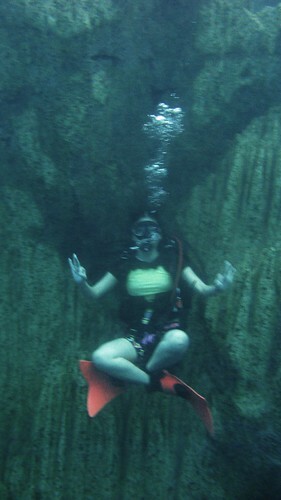 This also was my first fresh water dive. You drop faster. The most interesting of all is the thermocline which you can actually see. Very few minutes into the dive, the water temperature changed from 30 to 38 degrees that I almost couldn’t take it! I had to literally meditate to acclimatized. The next 3 days’ dives were all ship wrecks and we penetrated a total of 7. Some people don’t like diving wrecks because of the usually poor visibility but I like it because of the eeriness. The ones here are huge and penetration is long and multi-level. The sites are usually located over 30-m deep and with the repetitive dives, diving is almost always deco. I took a lot of video clips and will compile them in the next few days. 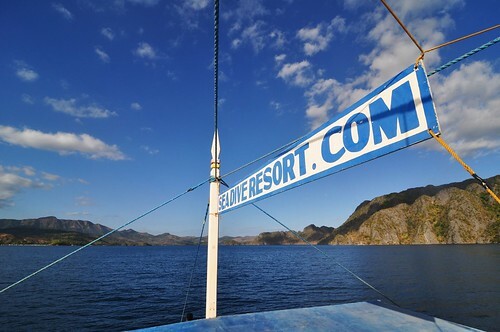 just added: click for Coron Diving video. The full cast and crew of the failed Tubbataha turned Coron adventure. I have to mention that this trip was made extra special by the 2 consecutive crab dinners we had at the veranda. 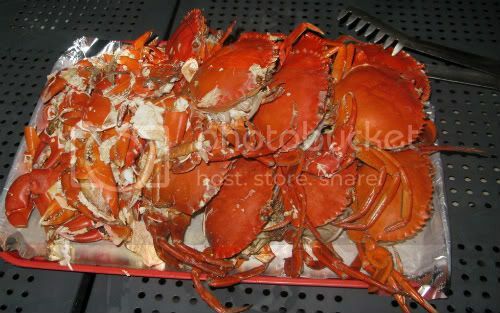 We bought the crabs at 180/kg at the market and had the resort cooked for us.